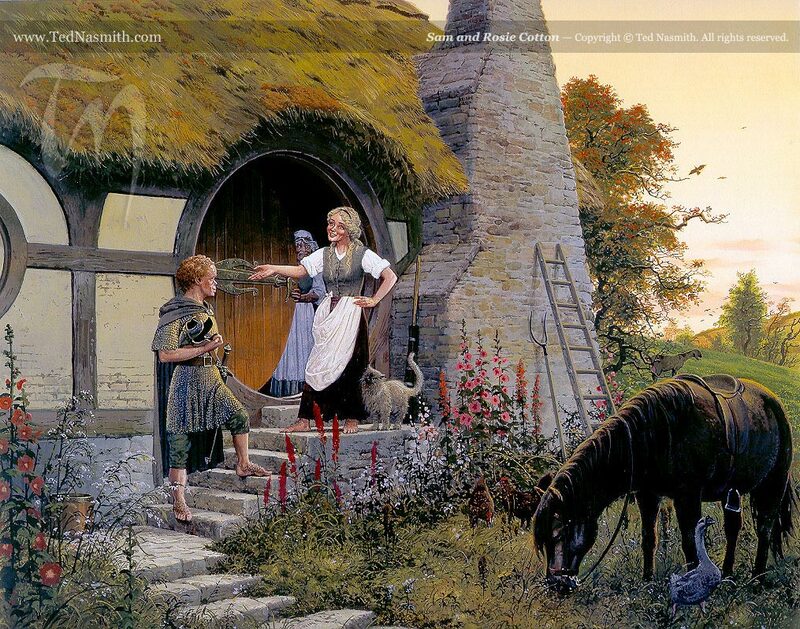 This topic is dedicated to the most wonderful hobbitess there ever was, my own Rosie Cotton, who waited for me for many long months, even though she thought I had wasted a year tootling around Middle-earth with Mr. Frodo. Anyway, this thread is to pay tribute to my lovely Rosie , who is the bestest wife and most awesomest mother to our 13 (yes, THIRTEEN) chilluns. And as for being a super Mayor's wife (I have been Mayor of the Shire for a few terms already, you know), she can't be beat. Please pay all honours to Rose Gamgee (née Cotton), daughter of Tolman Cotton Senior and Lily Brown, South Lane, near Bywater, the Shire. I had not met or heard of Rosie Cotton/Gamgee until today, but it is quite a pleasure to have met her this afternoon. If you indeed have 13 "chilluns" like you say you do, I am quite amazed. That is quite a feat indeed. Just sayin' that Rosie don't do pints. In case anyone asks. Hi Momsie. You're the BEST! Samwise Gamgee wrote: Just sayin' that Rosie don't do pints. In case anyone asks. Good of you to clarify, old chap. I will be sure not to offer her one, though I daresay she's missing out.